Being a mom does not stop the fun of holidays, in fact, it often heightens them. As a mom, one of the best parts of Halloween is dressing up alongside the kids. I actually don't dress up for Halloween since I feel like I look scary enough, LOL, but I see a lot of moms dressing up alongside their kids in which I think is so cute! Here are some Halloween costume ideas that I love for moms, both inclusive of the kids, and just for the moms alone. You can plan for Halloween today with a few of these custom creations. If you are the mom of a small baby, you likely walk around with them attached to you all the time. For a great custom that can involve your child who is too young to walk, get a kangaroo and joey outfit. It is easy to sew up a kangaroo pouch to snuggle the baby and keep them warm while walking around on Halloween night. If you are not good in the sewing department, wrap a brown blanket around your baby joey with just their head peeking out. You cannot find a more classical, family friendly and prettier face than Miss Piggy. 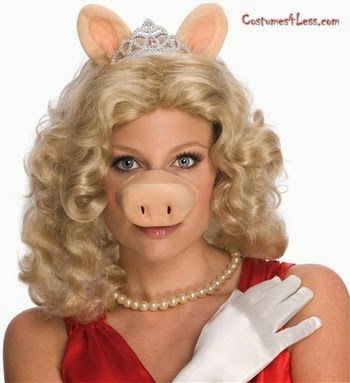 Miss Piggy is an icon in her own right, and makes a great Halloween costume. Dressing up in her signature pink with cute piggy ears is a simple costume to make. Got a full house. Have everyone pick a Muppet! I think a family walking around as the Muppet characters is the cutest Halloween idea ever. Every mom is a wonder woman. I think that all moms deserve a lot of credit for taking on the hardest job ever. 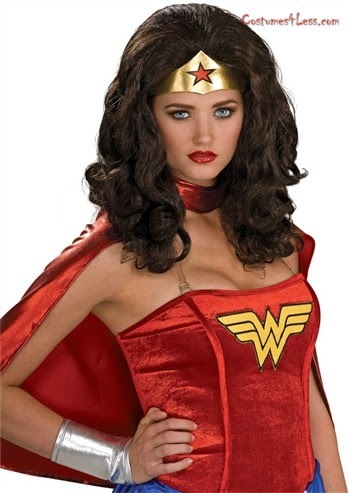 You can express your inner Wonder Woman on Halloween night in with a great custom depiction. For Wonder Woman, you can elect to wear a short skirt, long skirt, or even pants with her signature blue outfit. This costume is always easy to find in costume shops and it can be easily made with inexpensive fabric at home as well. Going trick or treating with the children? Get the kids in on the act by assembling a family full of superheroes for Halloween! Have you decided on your Halloween costumes this year for you and your kids? Disclosure- Post contains affiliate links, meaning I earn a small commission if you make a purchase. I only recommend companies that will benefit my readers. I'm with you, I don't dress up, but those are some cute ideas for those brave women who do! Yeah dressing up is just not for me. LOL Aimee! Yeah, that will never happen! I know my girls would never be seen walking around with last years costumes, LOL! Every year I say I am going to dress up and never do. Can you believe that we have huge Halloween parties on this side of the world? I certainly miss fall and all of the good holidays coming up. I can't wait to see your girls. I know they will be just adorable. Wow I never knew that Halloween was popular on your side of the world, interesting! My girls decided to be Monster High girls. That's a good choice LaShawn, very empowering! My co-workers were thinking we would be the Scooby Do crew this year! Now that's a awesome idea Anna! I don't get to dress up much anymore, but truly would love to be Wonder Woman! You should dress up as Wonder Woman some day Karon!